Where is the best place to empty a canister vacuum? Well, this seems to be one of those questions whose answer is obvious. But it’s not. 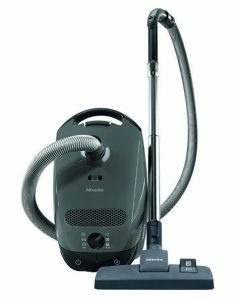 More often than not, we get queries from some of our readers regarding overall hygiene when it comes to vacuum cleaners. Apart from knowing how to empty a canister vacuum, they need to know the specifics. 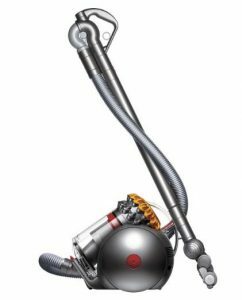 Where is the best place to empty a canister vacuum? This is one question we address in this short guide. First things first, let’s see what canister vacuums pack. But, where is the best place to empty a canister vacuum? By the time you get to this article, you most probably own a canister. But let’s remind ourselves of the advantages and disadvantages of owning a canister. Like any other home appliance, there are merits and demerits that you need to know about. Now that we have that out of the way, let’s see how to empty canister vacuum cleaner (step by step). We advise that you always empty the canister once it’s 50 percent full. This allows air to circulate freely so as to maintain consistently powerful suction. Some canisters will have a “Max” level indicated on the outside. Emptying a canister is a walk in the park. First, detach the canister from the unit by pressing the release button. Open the latch and empty the contents into a plastic bag or into a trash can that is lined with a plastic bag. When emptying the canister vacuum, the main aim is to prevent the dust from being blown back into circulation within the house. So, the best place to empty the canister vacuum is outside, in the open. Once you detach the canister you can empty it straight into the trash can as mentioned above. However, we advise that you empty the contents separately into a plastic bag, seal it and drop the bag into the trash can. This will prevent dust from being blown onto the face of whoever is emptying other dirt into the trash can later on. What if you live in an apartment building where the ‘outside’ is maybe the street? In this case, you can empty the canister vacuum on the balcony. If there’s no balcony, you have to be a bit innovative. For example, you can use the bathroom for this task. Empty the dirt into a plastic bag while the bathroom door is closed to prevent dust from circulating back into the other rooms. Once done, seal the bag and drop it into the trash can. Meanwhile, leave the bathroom door locked for any little dust that had escaped to settle. This can later be washed into the drainage. Regardless of which type of vacuum you have, remember to empty the dirt regularly for optimal performance. For canisters, it is advisable to take the vacuum outside and empty the dirt into a plastic bag. A little bit of innovation is needed if you live in a studio or apartment block though. Any question for us regarding any vacuum such as a Shark? Let us know in the comments section.